Teaching the Martial Arts is Our Passion! We believe it is our PURPOSE to INSPIRE and EMPOWER each of our students to DO and BE their PERSONAL BEST every day. Not only do we love learning and training in the martial arts, but we also feel as if the opportunity to share the martial arts with our community makes us some of the luckiest people alive. Carlton Doup began his martial arts training under world renowned master Won Kuk Kim, founder of the Jungyae Moosul system. Under master Kim’s tutelage he achieved the rank of 3rd degree black belt and the title of Dae Sa Reoung (Chief Instructor), the highest attainable level of instructor in the Jungyae Moosul system. He began teaching in 1994 and in 1996 opened his own school, the Jungyae Moosul Academy of Marysville. After several years he decided he wanted to take his school in a different direction than that of his teacher and founded the Kung Fu Northwest / Kung Fu 4 Kids Academy. 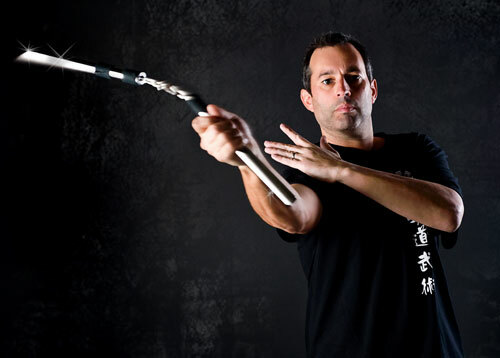 Carlton is best known in the martial arts community for his championship demonstration teams as well as his expertise in the use of weapons, with his specialty being in the field of flexible weapons such as Nunchaku, Iron Chain and the Rope Dart. Carlton has also done professional stunt work and martial arts choreography, giving him the opportunity to work directly with several notable figures including Bill Gates and Steve Balhmer. Free-spirited and curious, Marie never felt a complete sense of belonging until she was introduced to martial arts. Marie began her journey by taking Shito-Ryu Karate as an elective in college, where her Sensei encouraged her to continue training in martial arts regardless of the style. Soon afterwards, Marie became an employee and student at Evans Tae Kwon Do. She discovered a love for sparring and competed for 7 years. After the Sah Bum Nim Evans was transferred with the military, Marie wandered among schools and systems until finding acceptance in the Kung Fu Northwest family. She has been and instructor since 2009. Favorite aspect of martial arts: Health benefits, creative / energy outlet. Born on the island of Oahu, Fila moved to Marysville in 2005. She began her martial arts training at the age of seven alongside her cousin. 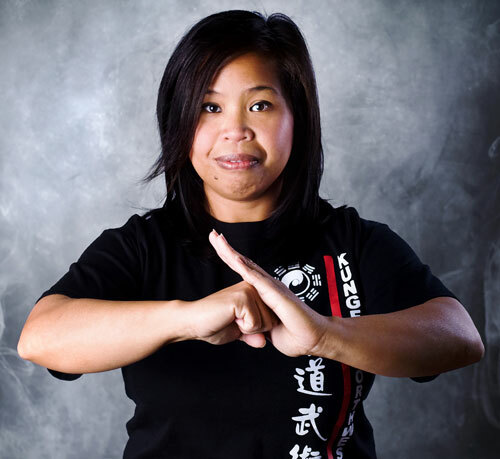 After many years of practice and volunteering at Kung Fu Northwest, she was then able to call herself an instructor. Other than kung fu, she enjoys spending quality time with her family and friends. You might also see her around the Marysville YMCA where she volunteers in Youth Development Center (YDC) events. 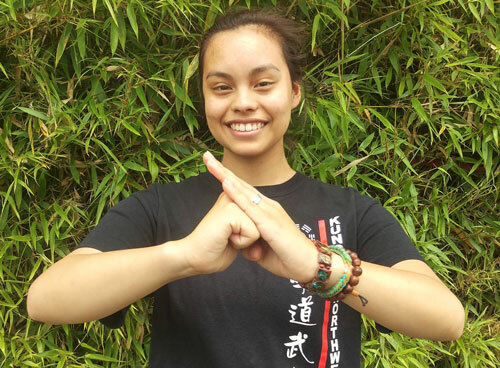 Glency Castillo has been training in Kung Fu since 2010. He started off as a student and through diligent training earned his place as an instructor. His hobbies are gaming, a little bit of dancing, and of course kung fu. His favorite part about being at Kung Fu 4 Kids is teaching kids what he himself loves to do. 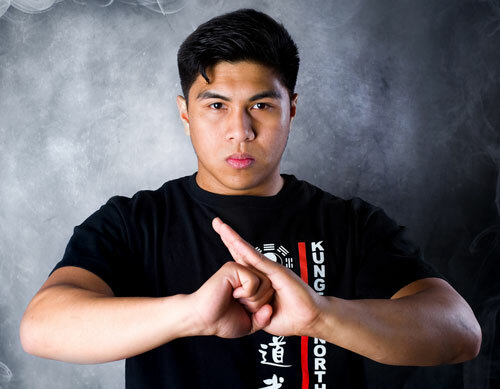 Like many students, Ralph Bartolome started his passion in the martial arts as a young child. However, his training did not start until reaching the age of 17. 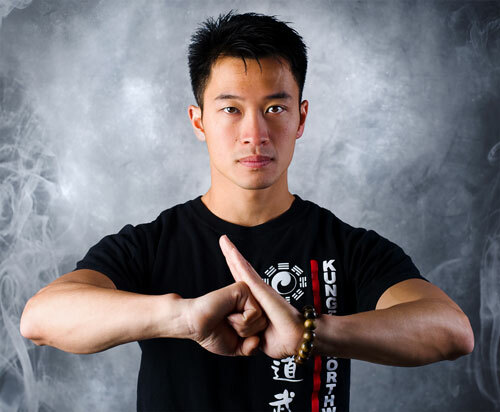 His early days in Kung Fu Northwest began as a student volunteer. Helping in several hours in classes daily and in each summer camp, he quickly began to find his passion grow from simply martial arts to teaching life skills and personal development through the martial arts. He successfully works with children as young as 3 years old in helping them develop a positive and self-motivating attitude that carries beyond the training floor. Ralph works to find a connection with each student by striving to understand their individual learning traits; watch him teach a class and you just might think that he is one of the kids, but just a bit taller. In 1989 the Chinese government recognized Sifu Li with the tile of ‘Wu Ying Ji’, a title that has been given to very few people and represents the highest level of achievement and mastery in the arts of Wushu. Two years later Sifu Li graduated from the Beijing Sports University, China’s most prestigious sports school which boasts such famous graduates as Jet Li. In 1994 Sifu Li retired from competition and soon after was invited to the Chinese Wushu Association in Yokohama, Japan where she taught Tai Chi and Wushu until 2001. While in Yokohama, she met her U.S. Navy husband and soon moved to Korea before settling in the Arlington, Washington area. During her time in Japan she was also recruited by Sony Playstation and Sega Dreamcast as a motion capture character model for the hit game ‘Soul Calibur’. Sifu Li has dedicated her life to the learning and teaching of Taiji and Wushu. Her students are truly lucky to have the opportunity to learn from such a skilled and experienced Taiji and Wushu master.